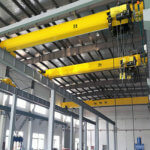 3 ton overhead crane is widely used in the warehouse, workshop, assembly factory, garage, workstation, and stockyard, etc. 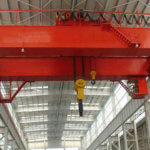 3-ton crane is a sort of light-duty overhead crane, also famous as a small overhead crane. It has so many strengths, such as excellent design, compact structure, strong rigidity and long service time in of us. 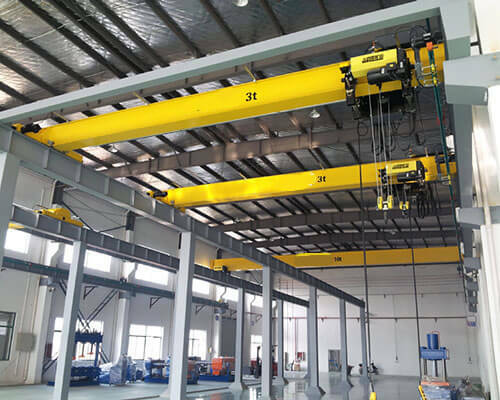 3 ton overhead crane mainly consists of 4 parts: electric hoist, main girder, electric control devices, and traveling mechanism. As a professional bridge crane manufacturer, we provide various 3 ton crane for sale, like single girder overhead crane, double beam bridge crane, top running overhead crane, and underhung overhead crane, etc. Welcome to contact us and start your business. 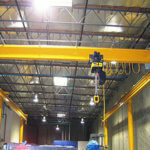 What are the features & advantages of our 3 ton overhead crane? It can be equipped with CD1 or MD1 electric hoist, it can be meet different working occasions. Professional designer team, excellent design and simple structure. It has no pollution to the environment during the running or production. International famous brand, worthy choice. Strict quality inspection and advanced technology, high quality. High production efficiency, reasonable and favorable price. 3 ton overhead crane for sale in Ellsen group has various types, such as a single beam or double beam type, under the hung overhead crane and top running bridge crane. Warm prompt: which type of 3 ton overhead crane to choose should be in accordance with your actual situation. 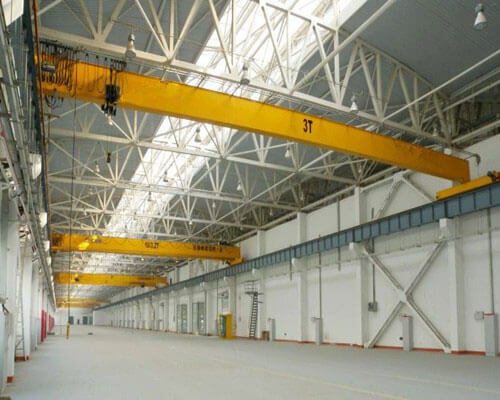 Besides, with strong production capacity, high production efficiency and advanced technology, our 3 ton overhead crane price are completely favorable and reasonable. Furthermore, the excellent quality of our products brings us a lot of honors. 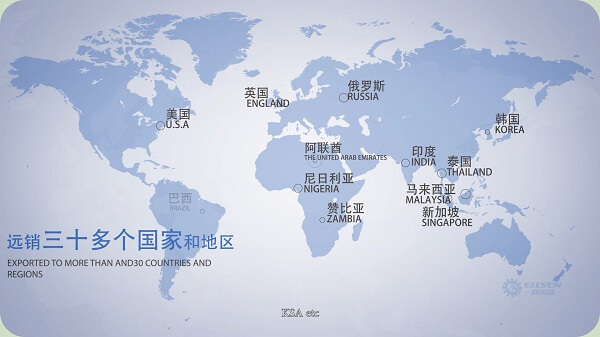 Our products have been exported to so many countries and regions, like Russia, South Korea, the US, the UK, Singapore, and Australia, etc. 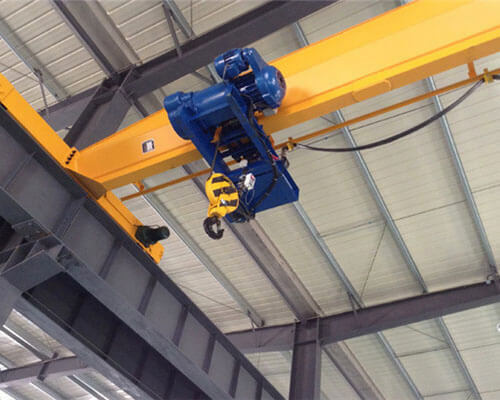 In addition to the overhead crane 3 ton, there are other small overhead cranes available in our company, such as 1-ton bridge crane, 2 ton crane and 5 ton overhead crane. Welcome to email to us. 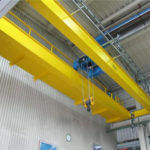 How to improve the production efficiency of a 3 ton overhead crane? 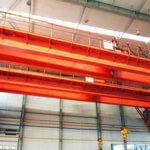 How to improve the production efficiency of 3 ton overhead crane? This is very important to operators and manufacturers. 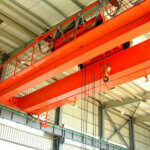 Firstly, overhead crane manufacturers need to produce more efficient cranes. Only in this way, your cranes can be more competitive in the market. 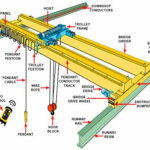 However, how manufacturers make 3-ton bridge crane more productive? On the one hand, a perfect design is necessary, a design should meet people`s different needs. On the other hand, it should be a simple structure. Secondly, as an operator, what should we do to improve production efficiency? Learn the operation manual at first before operating a crane. And we should obey a principle: less is more, what is the meaning? Less fault is meant more production. Welcome to contact us and get a high-efficiency 3-ton bridge crane. 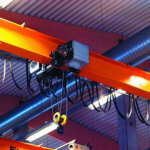 What is the price of a 3 ton overhead crane? 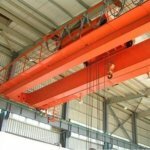 How much does a 3 ton overhead crane cost? This is a significant question for customers when buying a crane. In the matter of fact, 3-ton bridge crane price is closely related to so many factors, like the production ability of manufacturers, transportation cost, material fee and lots of other aspects. Any small change of these factors can greatly affect the price. For example, different transportation methods have different cost, air transportation usually spend more than land or railway. And Ellsen would choose the most suitable mode of transportation, ensure to saves both time and money for customers. Ellsen heavy machine company, a professional overhead crane manufacturer, dedicated to providing high-quality cranes for clients around the world. Welcome to email to us for the latest price. As we all know, regular inspection is essential in order to ensure safe operation of cranes. 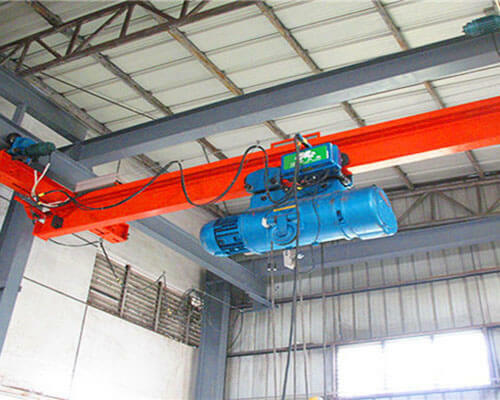 There are some tips to operate the 3 ton overhead crane smoothly. Operators need to learn the operation manual before they go to work. This is vitally important. They must be trained enough to operate cranes. Regularly inspection is essential, check every parts or accessory before it runs. Make sure the material weight is no more than the lifting capacity that allowed. It is necessary to increase the awareness of the safety of operators, ensure they can work in a good mode. Ensure operators running the machine in a proper way so that the crane can have a very long service time. Ellsen heavy equipment Co., Ltd, a professional crane manufacturer, and supplier. We have very rich experience in the design, research, and manufacture of 3-ton bridge crane. Our products have won lots of patents and reputations. Finally, If you are interested in our 3 ton overhead crane, please email us and get a free quotation, we will be very glad to reply to you as soon as possible. Looking forward to hearing from you.